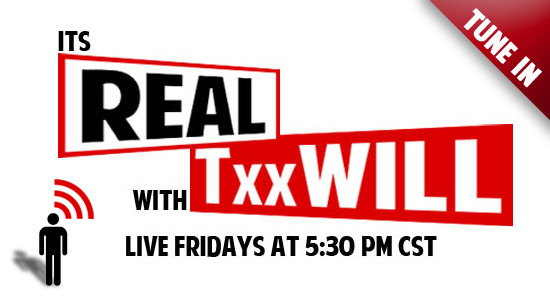 Txx Will goes live every Friday at 5:30 via Ustream. You can watch him here at TxxWill.com, go join our crowd and chat with Will. Txx Will keeps it real discussing topics like police brutality, the #occupy movement, and much more. If you have a topics you’d like to hear or would like to be heard contact us. Join our crowd, tune in, and be heard not many artist reach out to their fans one on one, that’s more reason to watch It’s Real With Txx Will.